TARGETING SRI LANKA - The tsunami in Southeast Asia caused more havoc and devastation than we have ever seen. Our initial effort in helping the tsunami victims has been to the island country of Sri Lanka. We have a vision to increase our relief effort and help them for years to come. It is our hope to continue to serve and help the people of Sri Lanka as we have seen first-hand the devastation of so many people's lives. 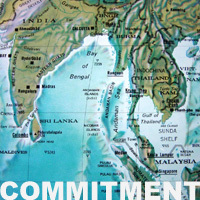 We have now have made a 5 year commitment to Sri Lanka to provide relief and help to the tsunami victims. Send hope is currently active in several countries worldwide. We are constantly expanding and growing in our ability to reach people groups in need. As we look to the future, we anticipate an increased effectiveness to reach a wider range of people as our organization grows, more partnerships are developed, and support increases.